Historic rivals Bethune-Cookman University and Florida A&M University meet on the gridiron for the 39th annual Florida Blue Florida Classic. 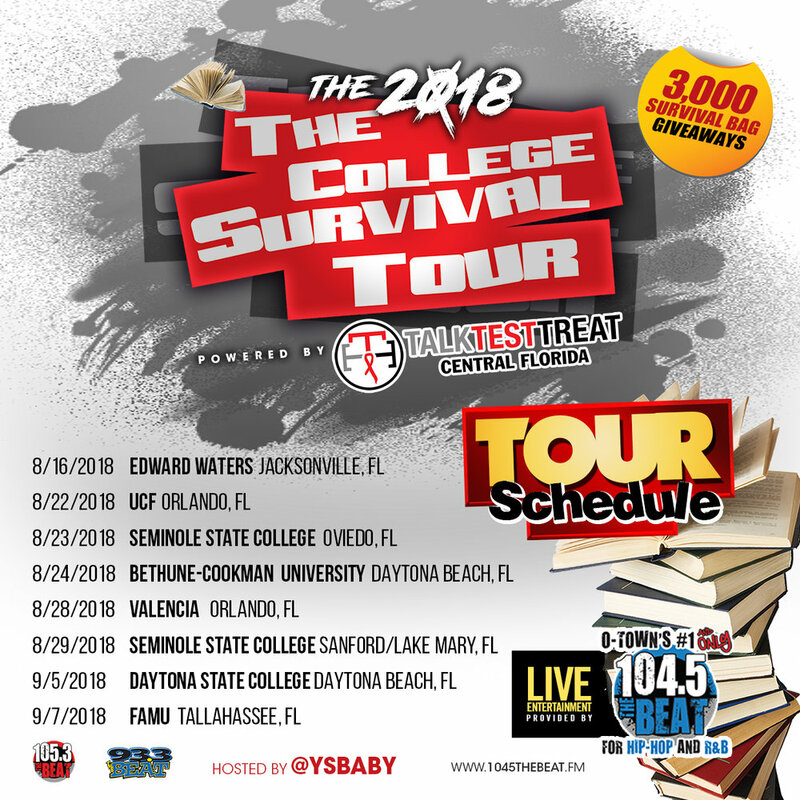 Your ticket includes: Exclusive B-CU swag, food, beverages, music and more! Your ticket purchase supports student scholarships! The fighting Wildcats will take on the Mississippi Valley State Delta Devils. The official homecoming tailgate will begin at Noon until the start of the game. Click here -> http://daytonastadium.com/plan-your-visit/faq/ to see prohibited items. Honorary parade grand marshals are Tom Joyner, syndicated radio personality and philanthropist and Nick Collins, a B-CU Alumnus and former NFL Green Bay Packer who scored a memorable touchdown in Super Bowl XLV. Wildcat fans will bombard the sidewalks of Mary McLeod Bethune Boulevard as student organizations, auxiliary groups and friends parade through Wildcat country. To participate in the parade, please fill out the homecoming parade application and make your payment. Be sure to get your official homecoming photo taken in front of this historic residence hall. for their service and work on behalf of their communities. 1988 Line, Alpha Kappa Alpha Sorority, Inc.
1989 Kappa Alpha Psi Fraternity, Inc.
2008 Line, Alpha Kappa Alpha Sorority, Inc.
Students promote literacy across Volusia County Public Schools. The Countdown to Founder's Day will begin at noon on October 2nd and feature games, trivia and information about the history of B-CU and our beloved Founder, Dr. Mary McLeod Bethune. At 11:30 p.m. we will convene on the quad where students will display their knowledge and love for B-CU by participating in a trivia challenge. Four $250 book scholarships will be awarded to students who win the trivia competition. At 11:55 p.m., a bell will ring and all students, faculty and staff are invited to join the Pre-Alumni Council and SGA as they lay a wreath at the gravesite at midnight. This will be the official kickoff to our Founder's Day! 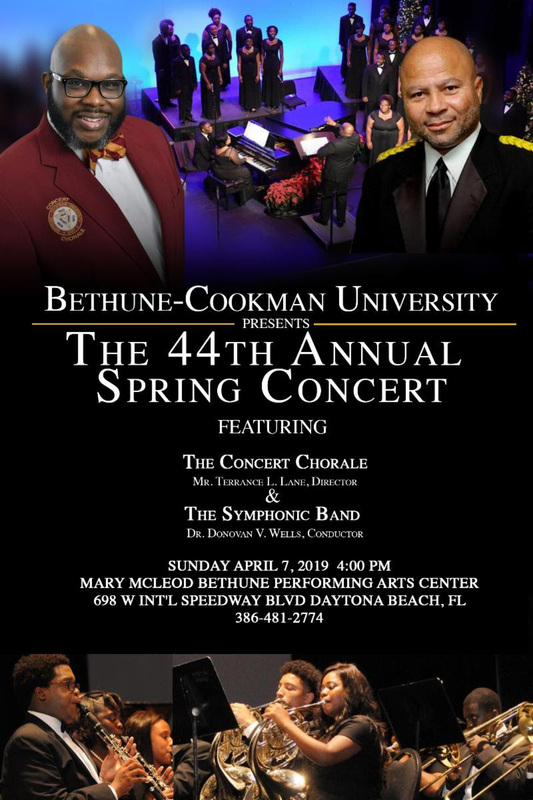 Come out and support the talent of B-CU student choirs and Community Gospel Choirs’ talents in a spirit-filled atmosphere. Time: 10 P.M. –12:00 A.M.
home game celebration. Can't wait to see you on the Quad. The 4th Annual Education and Social Justice Conference will provide a forum for school districts, governmental agencies, community organizations, and families across Florida to address educational issues as well as a myriad of other factors and influences that will impact an individual's life choices, chances, and opportunities for success. We are inviting all educators, school administrators, Title I school representatives, law enforcement professionals, lawyers, judges, business professionals, environmental advocates, healthcare professionals, mental health professionals, media professionals, students, the faith community, non-profit organizations, human & youth service professionals, politicians, researchers, and concerned citizens. National Statuary Hall Campaign Launch at Mary McLeod Bethune Foundation-National Historic Landmark April 20 2018, 2 p.m.